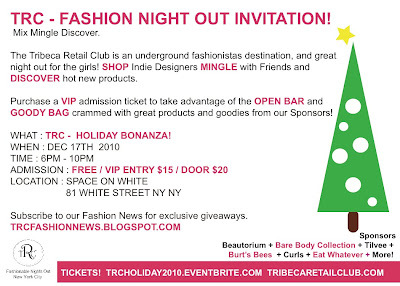 TRC's Holiday Bonanza is coming on December 17 in NYC. Their last one was focused around the Fashion Week in NYC back in September (see here.) 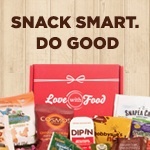 Again, this event will have lots of shopping, drink sand fun! 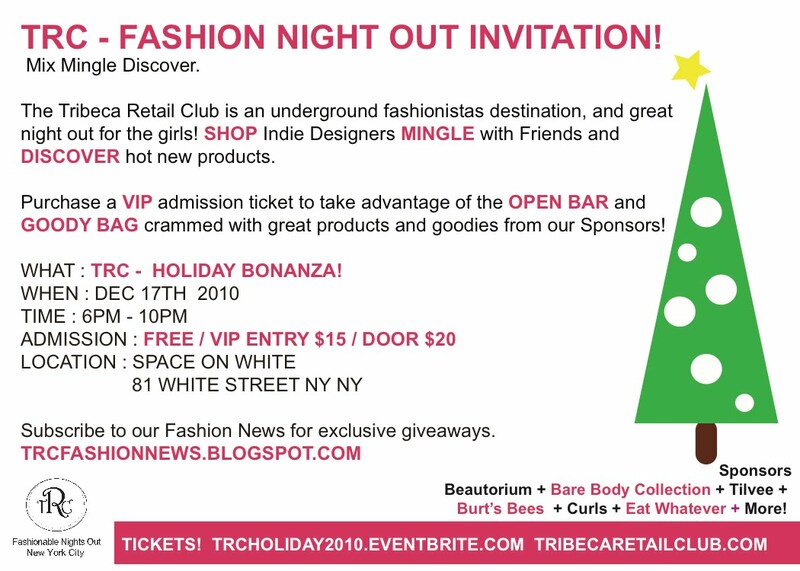 It's totally FREE but with VIP Admission you get a goodie bag full of fun products from their sponsors including: *Burt’s Bees *Beautorium.Com *We’re Worth it *Eat Whatever *Bare Body Collection *Curlz Hair *Tilvee + more!